our customers and presented as an Anniversary Gift. Experience and Knowledge - We employ trained technicians for all areas of work performed and our staff posses decades of experience in the auto body repair industry. We take pride in being able to pin-point problems quickly so we can get you back on the road faster. We are a results driven company, meaning that we know the power of referrals so we strive to provide an unexpected level of satisfaction, so that you will feel comfortable referring your family and friends to us. We know the frustration you have when your car or truck is involved in an accident and we strive to complete your auto body repair service as quickly as possible and in pre-accident condition with OEM repair procedures and OEM parts. Why Look Anywhere Else?We have the experience and know how to get the job done right the first time. Our location is very convenient and easy to find. Be sure to contact us today and find out why so many people have chosen us for all their automotive service needs. Facility:50,000 square feet available for body repairs and paint. 45 car and light truck repair bays. 3 Car-O-Liner frame racks with measuring systems. Heavy duty truck frame straightening and alignment equipment. 12 ton dual bridge crane. Miller MIG, TIG, and plasma cutting equipment. 2 Garmat double prep decks. 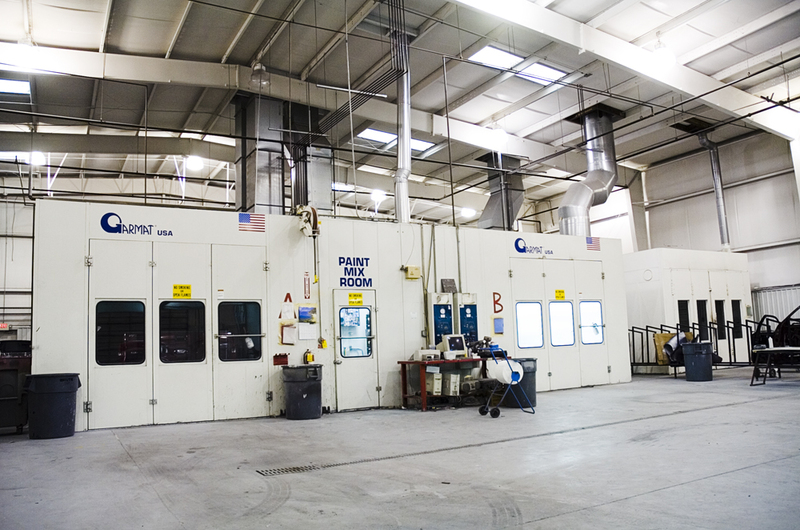 3 Garmat downdraft paint booths for cars and light trucks. 1 Garmat downdraft paint booth for trucks and trailers up to class 8. Axalta waterborne paint & finishes for cars and light trucks & Imron for heavy trucks. Hertz rental location on site. Clean comfortable waiting area with vending machines. All glass work performed on site. Lifetime Limited Warranty backed by Akins and Axalta. We utilize; CCC1, Mitchell Ultra-Mate, Audatex, Mitchell Truck and Alldata Collision Repair information. Reynolds & Reynolds dealer management systems. CCC One Body Shop Management System.